Buying rental properties is a great way to invest your money, but qualifying for a loan on an investment property is not always easy. Loans on investment properties are much more difficult to get than a loan on an owner-occupied home and it will cost you more money as well. Many banks consider investor loans riskier than owner-occupied loans. The down payments are higher, the credit scores needed are higher, and the income requirements are greater for investor loans. This article will go over the different loans available on investment properties and how to qualify for them. An investment property could be a rental property, a house flip, or a piece of vacant land. Banks are very specific on what they consider investment properties, and they base their loans on these classifications. Most banks lend on owner-occupied houses and investor-owned houses. Almost every bank has different loan options depending on what type of property you own. Each bank can have a different definition, but for the most part, an owner-occupied home is a house that someone lives in for more than 6 months of the year. It is not a house that someone buys and stays there for a week on vacation. It is not a house that someone buys and leaves one room vacant in case they decide to crash there one night. One or more people on the Deed must live in the home for more than half the time for at least one year (sometimes more). All other houses are considered investment properties and the banks have much different loan programs for them than owner occupants. If you buy a house as an owner occupant with the intention of using it as an investment it could be considered loan fraud. Owner occupants can typically qualify for FHA, VA, Conventional, USDA or other loan options that have low down payments. The down payment for FHA can be as low as 3.5%, VA has a $0 down payment as does USDA. Conventional loans also have down payments as low as 3 percent for some buyers and 5 percent for most buyers. It is fairly easy for most buyer’s to qualify for an owner-occupied home if they have decent credit (over 620), make decent money, and have reasonable debts. Real estate investment loans are much different. An investment loan requires at least 20 percent down in almost all cases, requires higher credit scores, better debt to income ratios, and there are limits to how many loans you can get with big banks. Most big banks will only let an investor have 4 loans in their name. Some smaller banks will allow an investor to have 10 loans in their name, but all the requirements get even stricter. There are other options for investors that we will get into in this article so do not lose hope if you don’t have the down payment, or have too many mortgages. Why is it harder for an investor to get a loan? Banks consider real estate investing riskier than people who buy houses to live in. Banks figure that someone will work harder to keep the house they live in than they will an investment property if things go bad. The government also encourages home ownership with programs like FHA, USDA, VA and local down payment assistance programs. Because the government helps with or runs these programs, the banks are more willing to offer low down payments to owner occupants. When qualifying for a home mortgage, most banks look at multiple factors. One of the biggest issues investors run into is that they have to qualify for two houses if they have a loan on their personal residence. It is very important for people not to buy the most expensive house they can because of this. You must have a low debt-to-income ratio to qualify for a new loan whether it is as an owner-occupant or as an investor. If you max out your qualification on your personal home, it will be very difficult to qualify for a loan on an investment property. The debt to income ratio is how much money you make each month, compared to your debt payments are each month. The percentages a bank will be okay with depends on the loan. The debt to income ratio does not take into account how much the balances are on your mortgages, only what the monthly payments are. Lower debt payments make it easier to qualify for a loan and that is one reason I prefer a 30-year loan to a 15-year loan (30-year loans have lower monthly payments). Most banks want to see a borrower at the same job for two years before they will give them a loan. If a borrower switches jobs but stays in the same field, banks will usually still lend, but you have to be careful switching jobs. The bank will want to verify income to make sure you are working full time, and actually have the job you say you have. Some loan programs allow credit scores under 600, but the lower your score the more fees and costs you will pay. Almost all of the low credit score loan programs are for owner occupants. Investors usually need a credit score over 680 and sometimes over 720 if they are trying to get multiple mortgages in their name. Banks will verify your income with tax returns. If you claim very little income, it can be hard to get a loan. Many people who are self-employed or who own business have a hard time qualifying for loans because they write off so many expenses. If you have little income, your debt to income ratio may be too high to qualify for a loan. One option is to claim fewer expenses and show a higher income on your taxes. Banks do not like to lend to people who defaulted on their debts in the past. 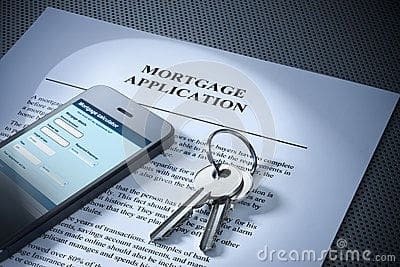 If you had a foreclosure it does not mean you can never get a loan again, but it makes it much tougher. Many banks will want to see a solid credit history up to 7 years after a foreclosure before they will lend to a buyer again. Other banks have short time frames. Short sales and bankruptcies also affect your ability to get a loan but usually have a short time frame than foreclosures. How much does an investment loan cost? It is important to know that when you get a loan on an investment property, you need more than just the down payment. You need money for closing costs, loan costs, and reserves. The closing costs on a loan consist of the origination fee, appraisal, recording fees, doc fees, and closing company fees. These costs can be up to or more than 3 percent of the loan amount. It is possible to ask the seller to pay these closing costs for you when buying a house, but it makes you offer weaker than one that is not asking the seller to pay closing costs. Lenders do not want an investor spending every penny they have on a house. They want to see some money left over to handle carrying costs or other issues that may come up. You need to have reserves left over after paying the closing costs and the down payment. Most banks require an investor to have at least 6 months of reserves. Reserves usually include the cost of any mortgages you have including the property you are buying. Interest rates can also be more on investor loans than on owner-occupied loans. If the going rate on an owner-occupied 30-year loan is 5%, an investor may pay 5.5% or 6% depending on the bank. They may even pay higher rates if they have shaky credit or other issues. What are alternatives to bank loans? The big banks have very strict lending guidelines because they almost all sell their loans to other investors. Those investors set the guidelines that the banks must adhere to. Some local banks do not sell their loans and can be much more flexible when lending to investors. They are often called portfolio loans or portfolio lenders. 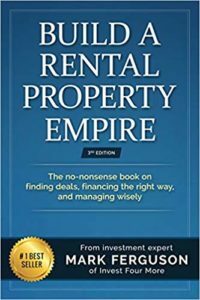 I have gotten almost all of the loans on my rental properties from local banks. Hard money lenders specialize in financing house flips, but they can finance rentals as well. A hard money lender will have much higher rates than banks and more fees, but most investors will have a much easier time qualifying with them than a bank. You also may be able to use a hard money loan to buy a property, but then refinance it into a long-term bank loan. Hard money loans have short terms (usually one year) and cannot be used on owner occupant properties. Many hard money lenders call themselves private money lenders, but I think of private money lenders as individuals. They are people you know: a family member, friend, co-worker, or another investor. I use a lot of private money on my house flips and on my rentals as well, when I want to refinance later on into a longer-term loan. In the last few years, there have been large lenders pop up who specialize in lending to real estate investors. They have higher rates than most banks, but do not worry about debt to income ratios, or require as high credit scores, They are worried about the property being a good rental. What is the first thing to do if you need a loan? 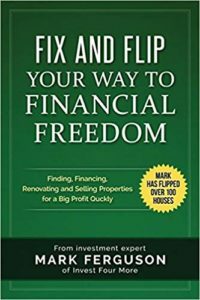 If you want to be a real estate investor but do not know where to start, I have a simple answer for you. Go talk to a lender or bank. Even if you think there is no way they will give you a loan, go talk to them. They can tell you if you can get a loan, how much you qualify for, and what the loan will cost you. The meeting is free and there is no reason not to do it. If the lender says you cannot get a loan, they should be able to tell you exactly why and help you fix the problems. They do all of this for free as well. Many people think it is impossible to get a bank loan on an investment property so they focus on creative financing or other ways to buy properties. Banks usually have the cheapest money and the longest terms for financing properties. Not everyone can qualify with a bank, but that does not mean you should not try. If you find our a bank will not work for you, then you can explore the other options that are available to investors.